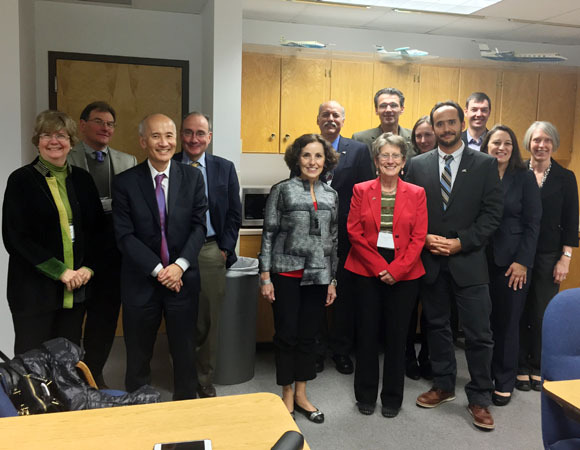 On February 20, 2015 NSF Director Dr. France Córdova and other NSF leadership met with UNAVCO President Dr. M. Meghan Miller at the NCAR Research Aviation Facility at Rocky Mountain Metropolitan Airport in Broomfield, Colorado. 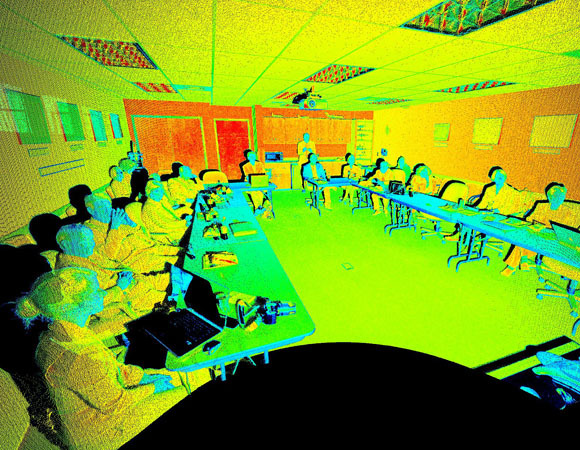 The senior management team, select UNAVCO staff, and several early career scientists joined them. 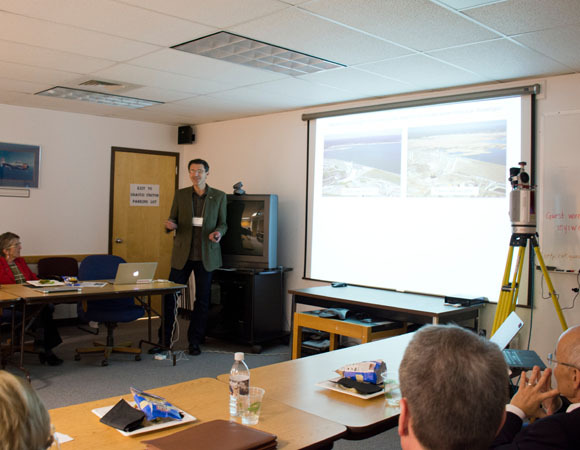 The goal of the meeting was to inform Dr. Córdova of UNAVCO’s history, role in Earthscope, and activities of Geodesy Advancing Geosciences and EarthScope (GAGE), the NSF geodetic facility. 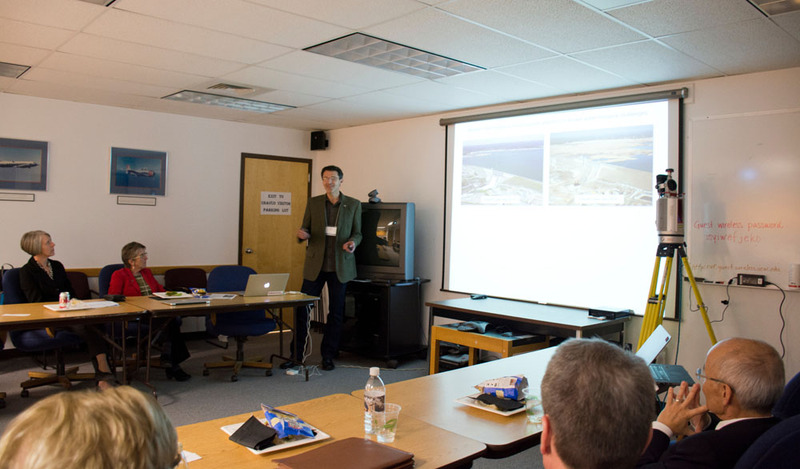 This meeting was part of a larger tour of NSF’s GEO-supported facilities in the Front Range. 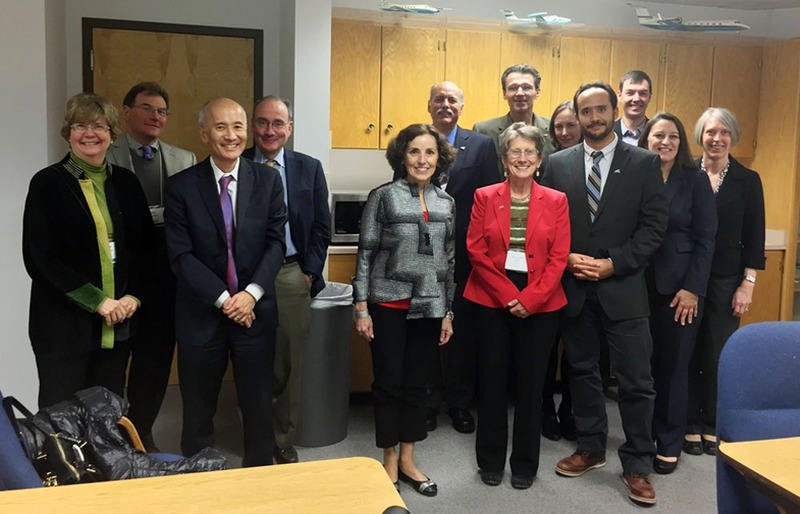 Dr. Miller briefed Dr. Córdova on the UNAVCO community consortium, the origins of the UNAVCO Inc. non-profit entity, and the existing and future Plate Boundary Observatory infrastructure as currently outlined in the EarthScope science and operations plans. 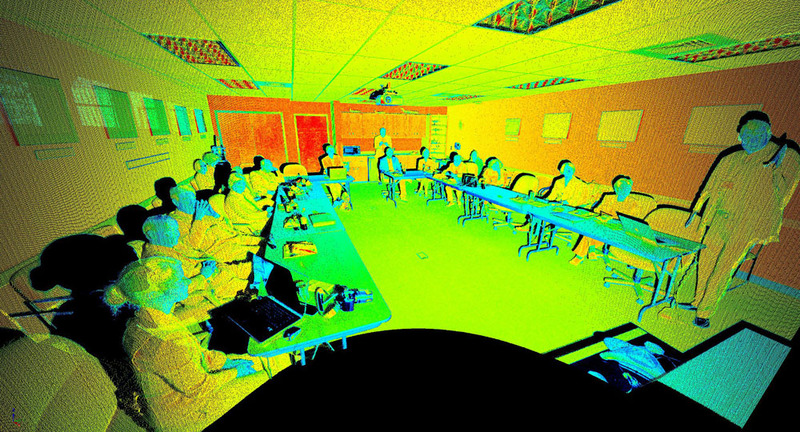 Geodetic Imaging Project Manager Christopher Crosby and Data Engineer Marianne Okal demonstrated UNAVCO’s terrestrial laser scanning (TLS) technology and discussed how UNAVCO is using this technology to support scientific endeavors in geodesy and also ecological and biological sciences. Three UNAVCO early career scientists traveled to Colorado to share recent geodetic science discoveries, highlighting the broader impact of their research. Dr. Adrian Borsa of the Scripps Institute of Oceanography discussed how the current California drought can be quantified using Plate Boundary Observatory GPS data. 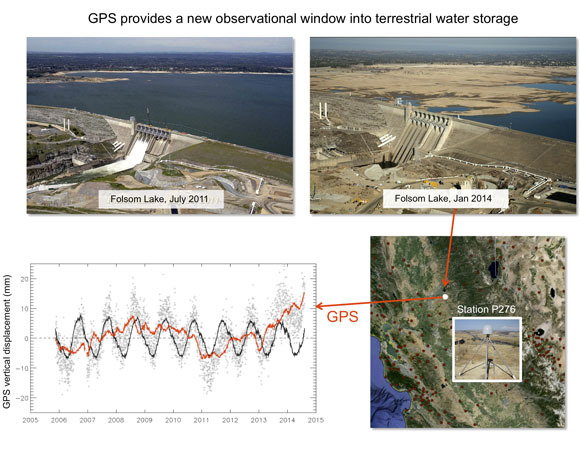 The western US drought is focusing public attention on known water resource challenges and GPS provides a new observational window into terrestrial water storage. 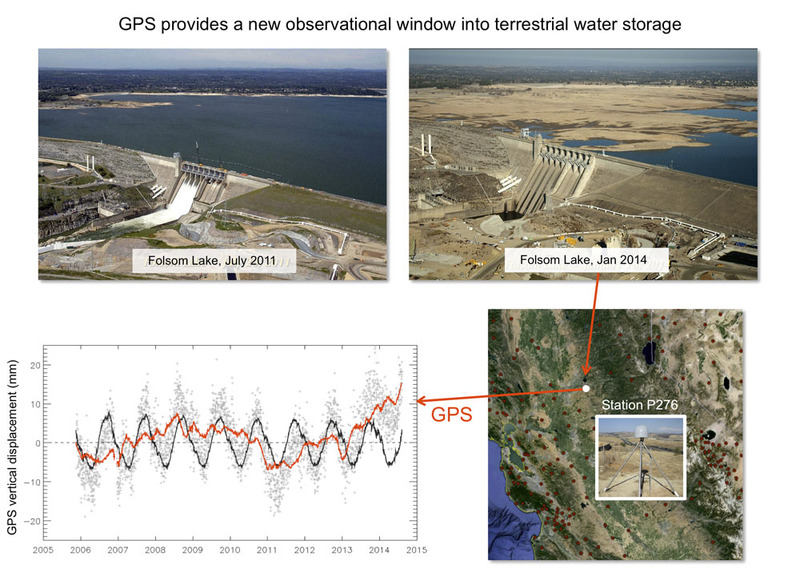 Vertical GPS displacements show uplift due to water loss in drought. Dr. Borsa's work is summarized in the Science Snapshot Plate Boundary Observatory as a Hydrological Network to Monitor Drought. 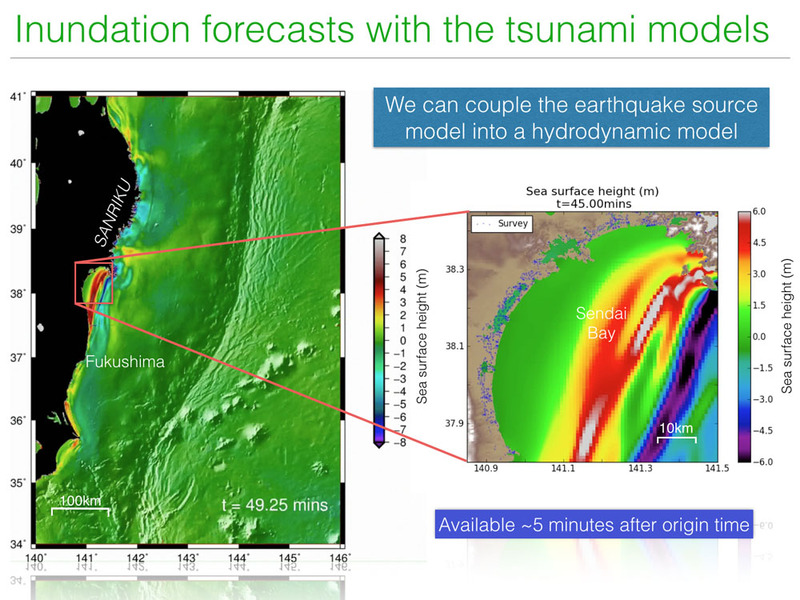 Dr. Diego Melgar of the University of California Berkeley Seismological Laboratory shared how he is using real-time GPS data to investigate tsunami modeling and early warning systems and articulated that GPS is fundamentally important for rapid hazard estimation. Dr. Melgar described how GPS can correctly and completely image the earthquake source in 2 to 3 minutes after the start of rupture. Currently there are ~600 real-time GPS stations in the Pacific Northwest and California, most of which are part of the Plate Boundary Observatory. 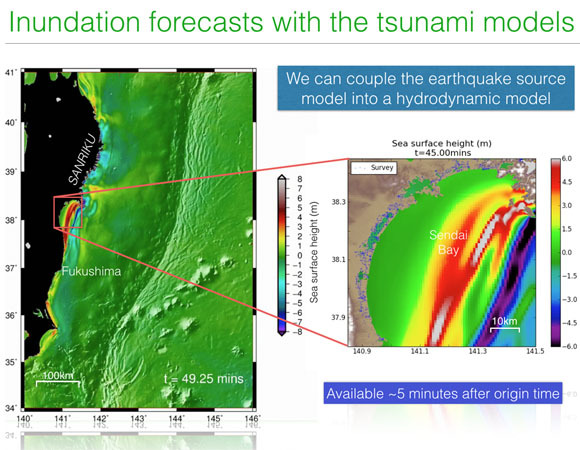 Dr. Melgar concluded that their distribution is sufficient to inform tsunami warning but that degradation of station distribution could jeopardize effective warnings. 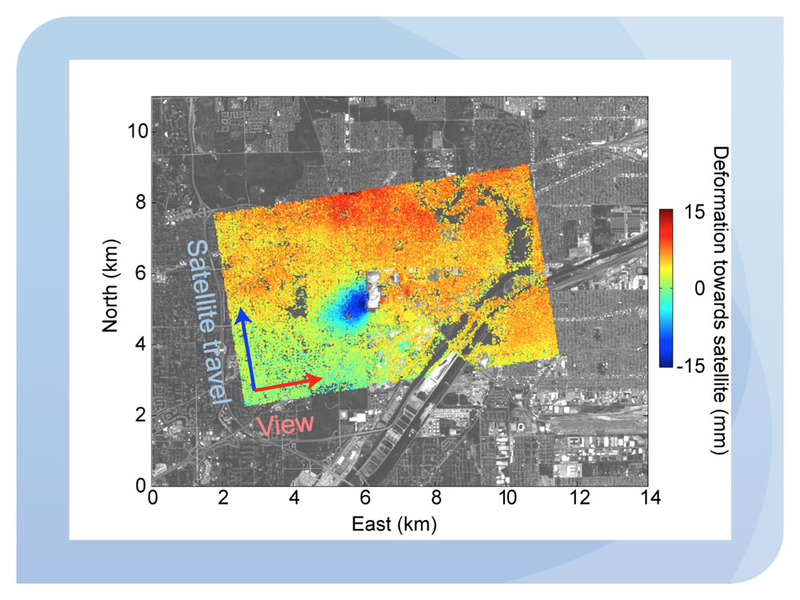 Read more about Dr. Melgar's work in the Science Snapshot Rapid Earthquake Assessment with Geodetic Networks. Dr. Rowena Lohman of Cornell University provided an overview of the range of earthquake-related problems that are currently being addressed using geodetic imaging, which uses remote sensing to measure surface displacement over areas up to 100’s or 1000’s of km with precisions approaching the sub-mm level. Dr. Lohman discussed how the long record of InSAR data means that we can now ask questions about how earthquakes interact with each other, how they relate to deformation episodes observed at volcanoes, and the possible triggering of earthquakes by other forces, including human activity. 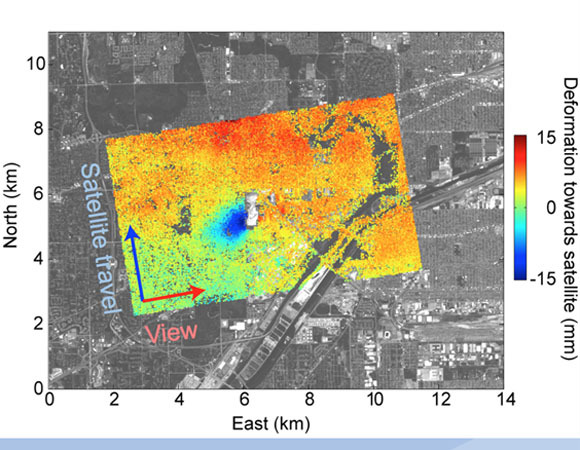 She emphasized that geodetic imaging now can inform studies of earthquakes that range from magnitude 9 all the way down to magnitude 3 and smaller. And, while the impact on society of the larger events is clear, a great deal of insight can be gained by studying the more frequent, smaller events.